This must be one of the craziest beekeeper around the world! 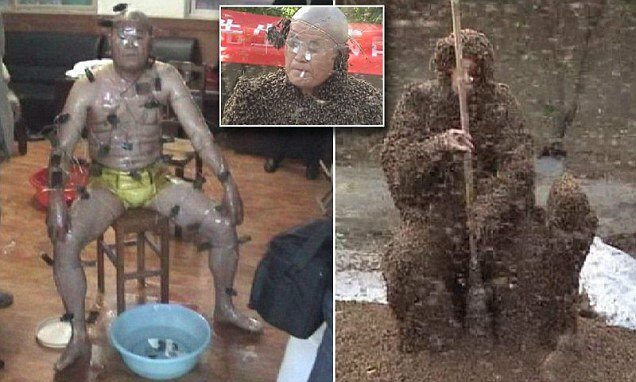 A beekeeper has set a new world record for having the most bees on his body in Tan’an, northern China’s Shandong Province. Find more pictures an another video here.